Men's dating advice company, Date Hotter Girls, claims to have cracked the mystery of how to get a girl to like you in a new article recently posted to this company's webpage. Report claims to help men figure out, "How to get a girl to like me?" “This is a question that’s older than the question mark itself,” quips Rob Judge, a men’s dating advice columnist, “That question is: How to get a girl to like me?’” Though men may be getting an answer to this quandary in the form of an article on Judge’s company’s webpage. The article, penned by Judge, explains the most important aspect of catching a woman’s eye is "mixed signals." The short report goes on to give men step-by-step strategies for inspiring emotions in women by using mixed signals. Tips include “little words” men can sprinkle into their communication with women to spark passion and emotions. The article also offers cautionary advice on what men should avoid. 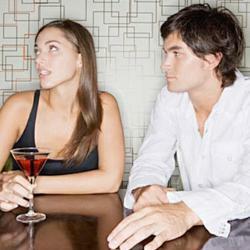 For example, the report warns that explaining one’s mixed signals can be toxic to a woman’s attraction. “It’s little things like that which make the difference in dating,” Judge states. Rob Judge is a dating instructor from New York City who specializes in helping men gain confidence around women. His advice focuses exclusively on approaching, meeting, flirting, talking to, and getting physical with women.